We love getting to know our patients, and are determined to make our clients feel as welcomed, relaxed and comfortable as possible. Let our caring and experienced staff at Dean Dental help you win back your self-confidence and give you the smile you deserve! Feel confident and better informed with a free second opinion from our staff before starting any dental procedure. 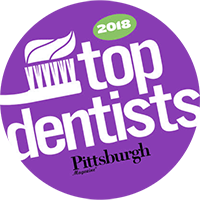 Our incredible dentists and staff serve the greater Washington, PA area by providing full-service, professional dentistry with a smile, a laugh and maybe a high-five. We are determined to make our clients feel as welcomed, relaxed and comfortable as possible. © Copyright 2019 Dean Dental. All rights reserved.